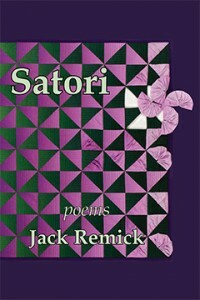 Satori ($11.95, 146 pages, 978-1-60381-196-5) is a collection of poems by Jack Remick, who also writes novels, essays, and short stories. Until now, Coffeetown readers have known him mostly for his novels: Gabriela and The Widow (finalist for ForeWord Magazine’s 2013 Book of the Year Award and the Montaigne Medal) and his California Quartet Series: The Deification, Valley Boy, The Book of Changes, and the Trio of Lost Souls (coming in 2015). 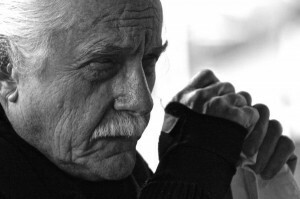 Jack Remick is a writer and teacher. As a young man, he worked as a tunnel rat, a bus driver, a house painter, a social worker, a retail clerk, and waited tables at the UC Berkeley Men’s Faculty Club where he rubbed shoulders with Nobel Laureates, scoundrels of all stripes, and international students from a dozen countries who taught him about cultural relativism. Remick learned to write poetry from J.S. Moodey in Centerville, California, and from Thom Gunn at UC Berkeley. When he was young and idealistic, he dropped out of Cal-Berkeley and spent time chasing rainbows in South America. When that didn’t work out, he repatriated, got degrees from Berkeley, San Francisco State University and UC Davis where he specialized in romance linguistics and French literature. At Davis, while studying with Jarvis Bastian, a psychologist, Remick discovered Claude Lévi-Strauss, psycholinguistics, and C.S. Peirce—discoveries that changed his life, his writing, and his mind. Remick reads and writes French and Spanish. For a short time, he was the only Spanish speaking social worker in Fresno County. Now that he is older and wiser, he has given up travel in favor of the sedentary life of a writing guru to hordes of writers in Seattle. He enjoys that very much and is very proud of the writers who practice the discipline. Remick taught fiction and screenwriting in University of Washington Certificate programs. He served for several years on the editorial board of Pig Iron magazine as fantasy editor, contributing editor and assistant editor. Click here to find Jack online. in the yellow slit at the edge of time. the clatter of jaws in the hard white shell.